Right, Juan Miguel Blanco sits in during an Associated Student Body Senate meeting. Blanco was hired to become the adviser for ASB. Update August 24, 2015, 3:14 p.m.: An earlier version of this story falsely reported that Juan Miguel Blanco had been working at Skagit Community College. In fact, the college is Skagit Valley College. The first impression when meeting the new adviser for the Associated Student Body is his moustache. Juan Miguel Blanco is replacing Tanika Byrd, who left American River College to work at Cosumnes River College almost one year ago. Blanco originally worked at Skagit Valley College, and from working there, he said that he learned that he wanted to continue working at a community college. Blanco said that he was attracted by the large and diverse student population that ARC has to offer. 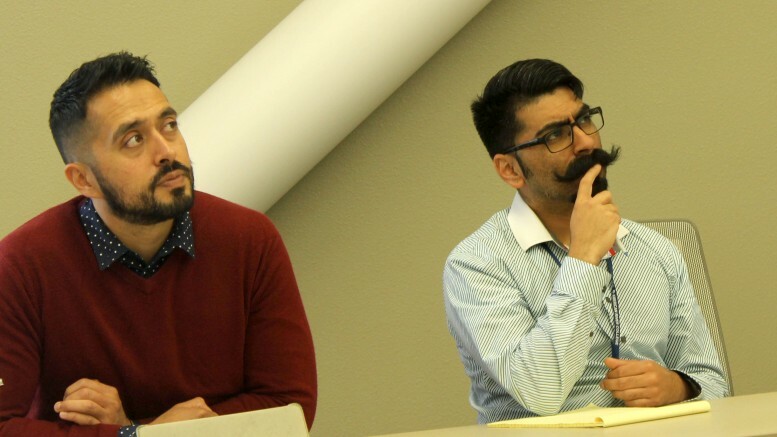 Dean of Student Development Manuel Perez had been up until now filling the role as the adviser for both the ASB Student Senate and Clubs and Events Board. Perez said that they were also seeking someone who brought new ideas to the table. Perez said he had a good impression of Blanco, saying that Blanco came to work early, and seemed to be genuinely excited to be on campus. Perez said that it was too early to compare Blanco with Byrd. 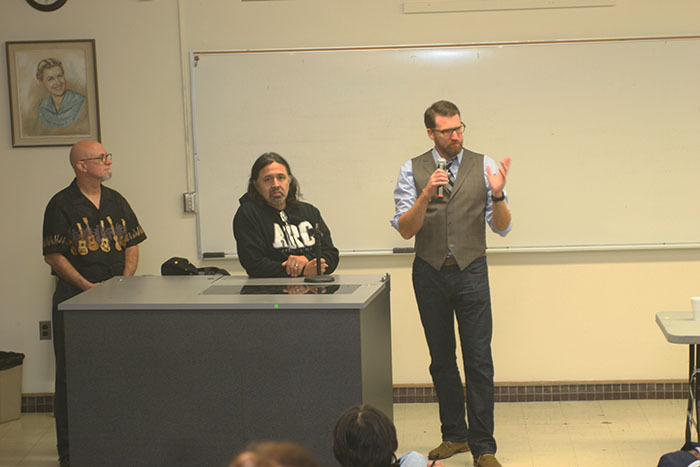 Perez said that Blanco is already working on with the sages and the ambassadors program on trying to help them developed the students on their own, without a third-party telling them that they did something wrong. “(He is) going through the process asking questions like, ‘how do budgets work, and how does this work?’, he’s asking those questions, which seasoned people ask, and so he is asking the right questions, and his energy is at the right place, and I’m excited for where it goes for next year,” Perez said. 1 Comment on "ASB receives new adviser"